Player history/Rating going a bit nuts! I'm in season 2031 and have called up a 16yr old (academy graduate) to my first team squad. 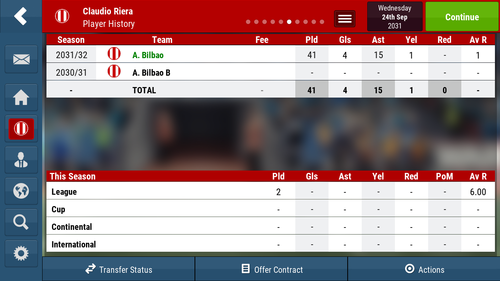 My issue is his career history and average rating is all over the place! 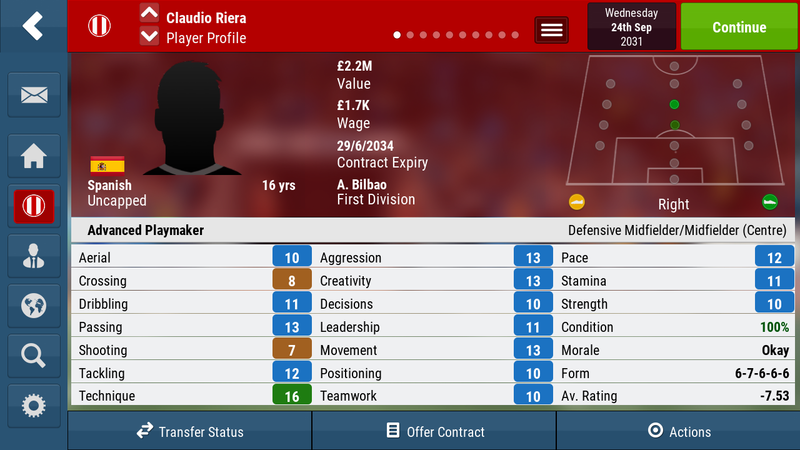 He has a current average rating of -7.5 (he has made a couple of sub appearance in league) and his career history states he has played 40odd games for me, despite only being a professional player for about 2 months! can you upload your save game here please, as a zip file. The save would need to be from before the issue occurred preferably. Please also include a link to this thread.